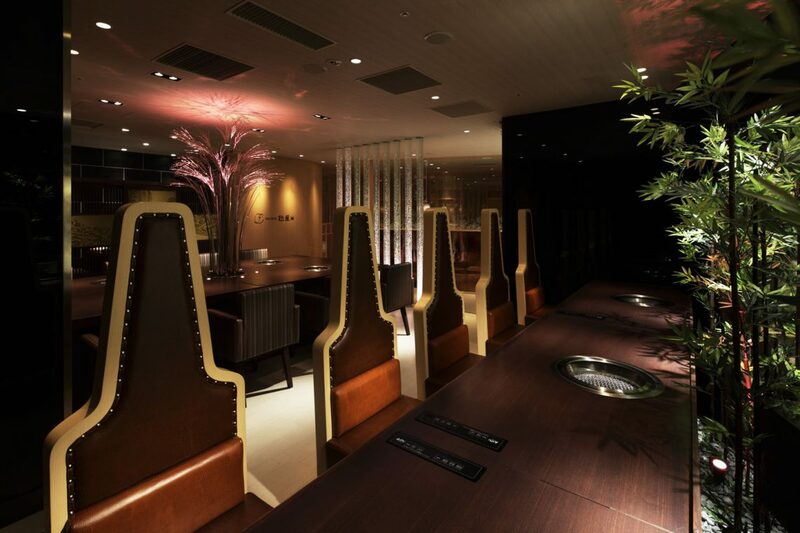 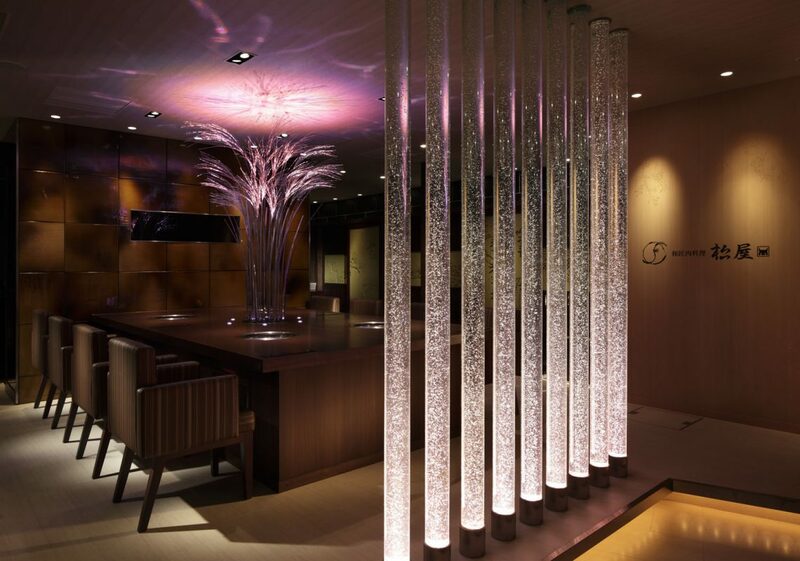 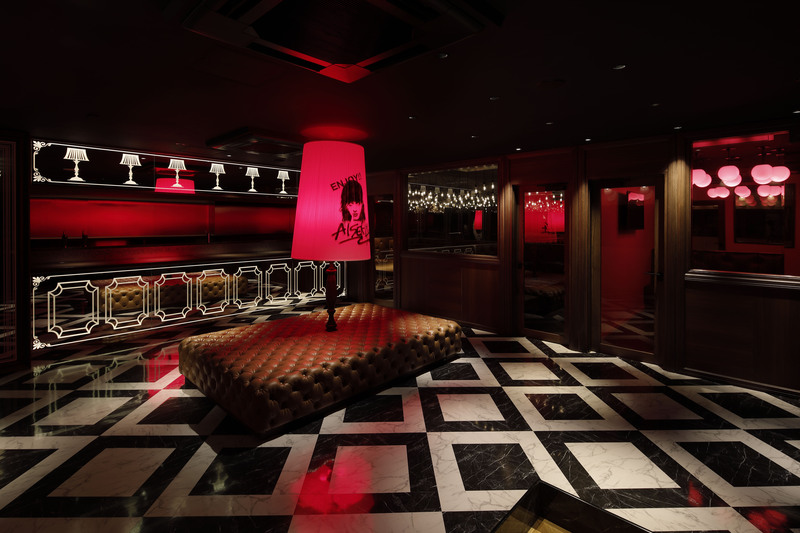 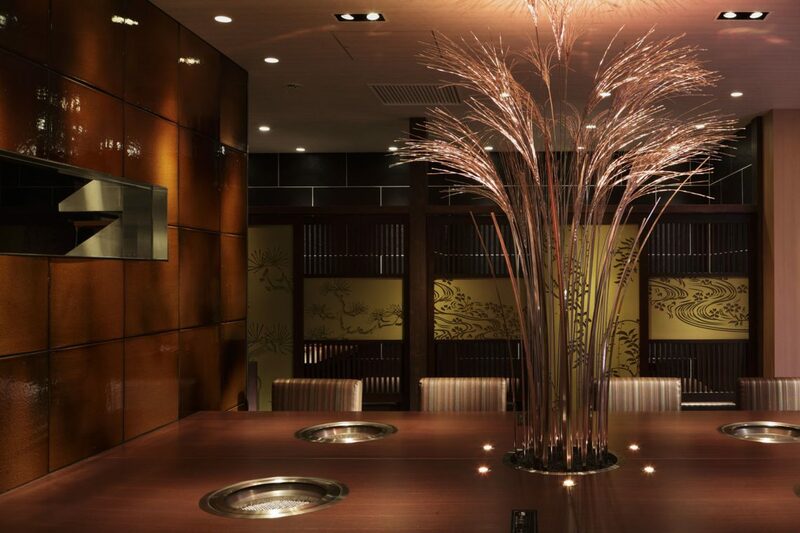 For the Hankyu Umeda main store, we express the concept “changing of the four seasons” in the visual points throughout the restaurant by transforming through the use of LED lighting. 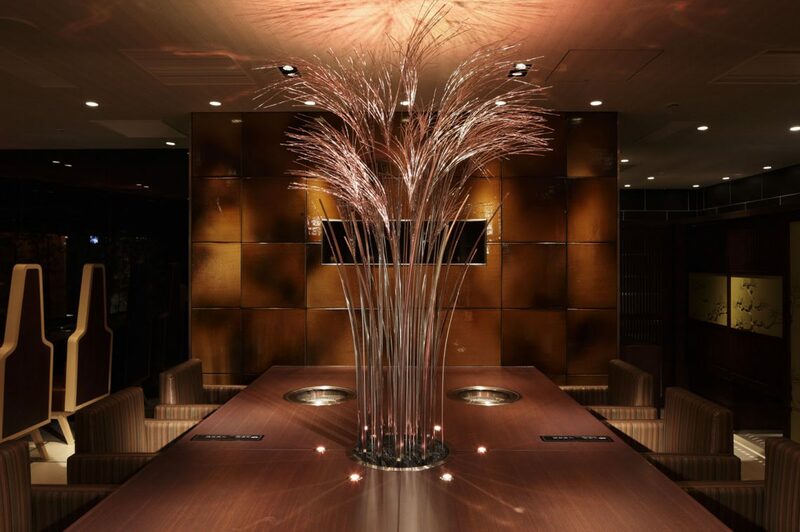 On the large tabletop in the center of the restaurant, we created a symbolic piece of Japanese pampas grass made of stainless steel. 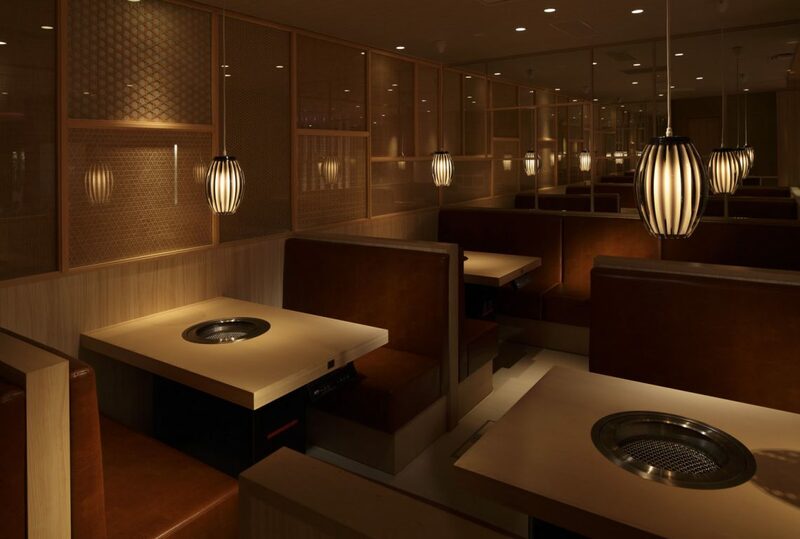 All the tiles on the facade and interior of the restaurant are originally designed and baked in a kiln by hands.